Get out in your boat more often ! Keep your Partner Safe, Dry & Happy ! Take the boat out by Yourself ! The front bolt on the base plate has to be attached to a support. Without this support - no warranty. You may or may not need the wedge plates. Bolts not included (too many options for bolts). 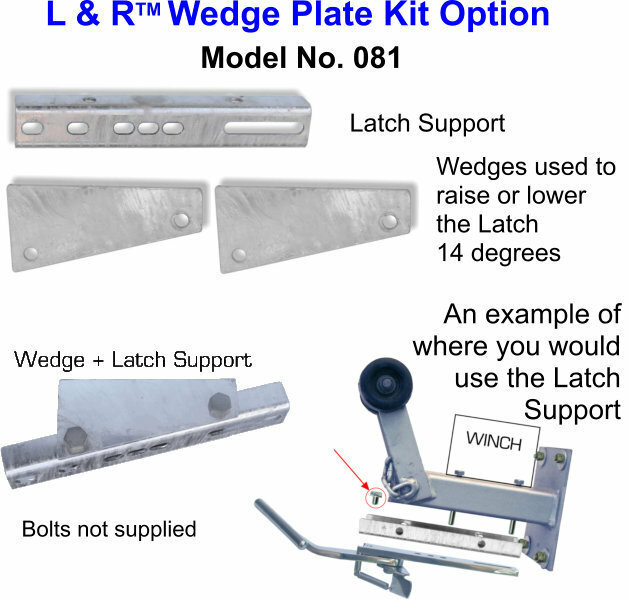 Kit includes Wedge Plates & Latch support. Galvanised.